Location: Ferrières, in the Meurthe-et-Moselle departement of France (Lorraine Region). Notes: The castle of Ferrières is a fortified building, located in the commune of Ferrières in France and registered with the historical monuments since May 19, 1925 and classified since May 10, 1988.The Taillefer family was the master of the seigniory in the thirteenth century, and little was known of their dwelling, even if vaults were anterior to this period. The present castle was deeply reorganized and fortified by Guillaume de Guilhot. Protestant leader during the wars of religion that raged in the region, he amassed a treasure of war as a result of his victories and uses this booty to fortify the defenses of the castle and make it one of the most imposing fortress of the region. The king of Navarre, future king Henry IV, stopped at the castle in 1585, during the visit he made to Castres. In 1708, the castle was bought as a prison. There are prisoners imprisoned without trial by letter of seal. The son of Armand Thomas Hue of Miromesnil, keeper of the seals, stayed there. In 1793, during the revolution, the towers were demolished, but the dwelling was preserved. 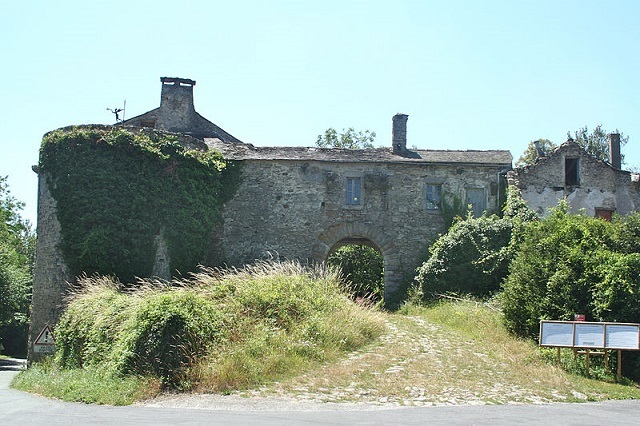 The preservation and restoration of the castle is ensured by the association Ferrières-Renaissance.